Getting an agent can seem like an impossible task, but it's not as difficult as you might think. Agents are an important part of your potential success in the creative realm, but they aren't the end all be all. That said, how do you go about getting one? Depending on whether you are an actor, writer or director, the process of getting an agent is a bit different for each vocation. But no matter what you wish to be, the trick to getting an agent, however, is that you usually need to make most of the effort. For actors, the type of agent you need is called a talent agent. That might seem obvious, but there are a number of different types of talent agents depending on what type of work you're looking for. You want to start by finding someone who specializes in the area that you're hoping to break into. A talent agent that specializes in the film is very different from the one who specializes in commercials. So, begin by determining which direction is best suited to you. 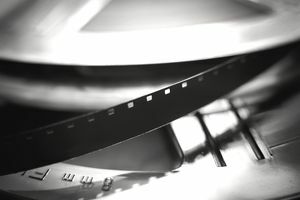 Talent agents usually find their clients in one of three ways: 1) they are referrals from other people; 2) they are people they sought out (most often established actors that were "stolen" from other agencies); or 3) by "discovering" them through a talent showcase, student film or other completed work. Does this mean that you won't ever be discovered by working as a waitress at a Hollywood industry hangout? No, but your chances are markedly decreased if this is the only effort you make. Too many actors think that an agent will choose to represent them, simply because they have an amazing headshot. True, a good headshot might give you the slightest edge toward getting a meeting, but more often than not, it ends up in the trash. One quick note about headshots: you want to be sure that no matter what, you look as close to your headshot as possible. If you've gained or lost weight, changed your hairstyle, or simply aged a few years, nothing will turn off a casting agent faster than an inaccurate photo representation of you. Pay the extra money and update them as you need to. The trick to getting a good talent agent is to be sure that you put yourself in a place to get discovered. That means, find work on your own. That could mean anything from doing talent showcases to student films to whatever else you can find. If you live in Los Angeles or New York, and even if you don't, you should subscribe to Back Stage West (either the magazine or the website), as this is an excellent resource for aspiring actors to find student and low-budget movies that are casting and are more likely to consider "green" actors. Also consider checking out Craigslist.com. It's surprising how many low budget films advertise there looking for casting potentials. Be careful choosing this route, however, as a lot of seemingly legitimate ads may not be legitimate. Be aware of anyone who wants to charge you money for their "representation" services. Agents rep their clients for free and only get paid when they get their clients work. Stay as far away from these types as you can. Once you've decided what type of writing you wish to specialize in, now you can start the process of getting an agent. The first thing you need to have is some sort of written material. After all, you can't really call yourself a writer if you don't have a body of work that represents what you're capable of. So, be sure to have either a spec script (or two) if you wish to be a TV writer or a feature spec if you wish to write for film. Once you have these materials in hand, you can't just blindly submit them to agencies and then hope that they'll read your script. This is when your networking skills become key. You will want to be sure to let all of your friends and co-workers know that you hope to break into Hollywood as a writer and that you're in the market for an agent. Chances are someone will know someone who will know someone who will know someone that can get your material in front of an agent. Literary agents are, for the most part, pretty intelligent people who are always looking for good material written by good writers. After all, they all want to take credit for finding the next David E. Kelly or Aaron Sorkin—and who's to say that's not you? If they read your stuff and like it, chances are they'll seek you out. The hard part is getting your material in front of these people. So, that means you have to network, network, network, and network some more. One thing you need to be aware of however is that you will likely just have one chance to make an impression on an agent. They are very busy people who aren't likely to give writers a couple of chances to impress them. So, only submit your material when it's at its very best. That means everything from making sure your dialogue, story structure, and characters are top notch, to making sure you have proofread your script for typos. Don't spend a lot of time on your cover. Your material should look like a script. Plain, white, three-hole paper bound with brass script brands. Don't bind it, put a fancy cover on it, and never put any other information on it other than the title, author, and your contact information. Anything else and people reading it will know you're an amateur. For potential directors, getting an agent is actually not all that difficult (if you're talented). If you're a legitimate director, meaning you've actually directed something that you can send out as material, many agents will be willing to add you to their roster to see whether or not your work sparks with the executives they deal with. Agents that represent directors learn the type of genre and tone that their existing directors are capable of directing and will usually seek out those projects that suit those needs. So, the trick here is to become a part of that list. Talent: Talent with regard to directing means you need to showcase your abilities to find certain types of shots, get the most out of your actors and the ability to put your own visual spin (or "voice") on whatever the subject matter might be. Technical Skills: You need to show that you can get the shot coverage you need to effectively tell a story as well as the ability to direct the editing process to achieve complete and well-rounded scenes. Proper Tone: If you're putting yourself out there as a comedy director, but you can't visually relate a scripted joke, then you might not be well suited for your job of choice. Your reel needs to showcase both the type of work you're capable of as well as the voice you use to show it. One important thing to remember when making your directors reel is to be sure that you don't overload it. Simply add those pieces of material that best showcase your directing talents and keep the entire reel under 5 minutes if possible. If you wish to include full episodes or movies, be sure to do so after your initial five-minute sample. Anything longer and chances are good there will be few if any executives and producers who will watch the entire thing and not get to the parts you want them to see. Keep in mind that getting an agent is not the impossible task it can often seem to be. You need to have extreme patience during this process, but that doesn't mean that you sit around waiting for an agent to suddenly discover you and your talents. Get out there and show off what you do and let the agents come and find you.